I’m so excited to announce our latest FREE sew-along for how to sew this Track Jacket from the 01/2017 issue of BurdaStyle magazine. 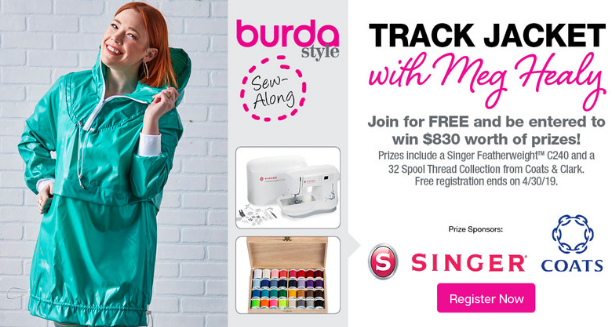 As always, it’s free to register from today until April 30th – and one lucky registrant will win a Singer Featherweight™ sewing machine and Coats & Clark Thread Pack. Read on to learn more and register today! 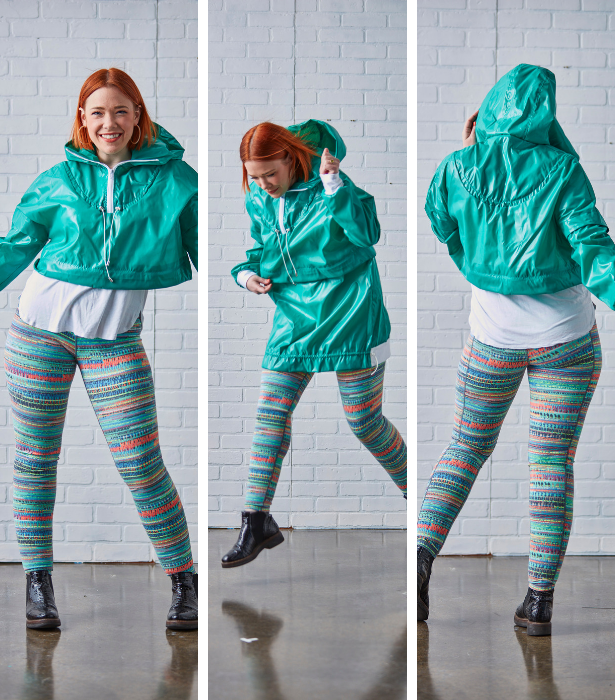 A rain track jacket is probably something you never thought you could make before – but with a few special notions and waterproof fabric you can make one easily that will suit your personal style. 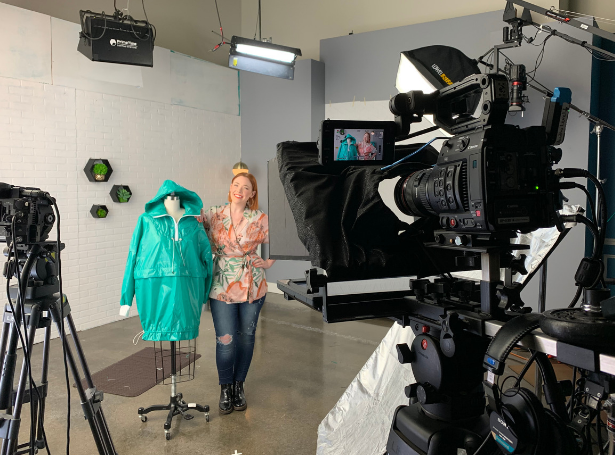 In this sew-along I’ll walk you through every step of sewing together this versatile jacket with tips and tricks on the way. Short or long? 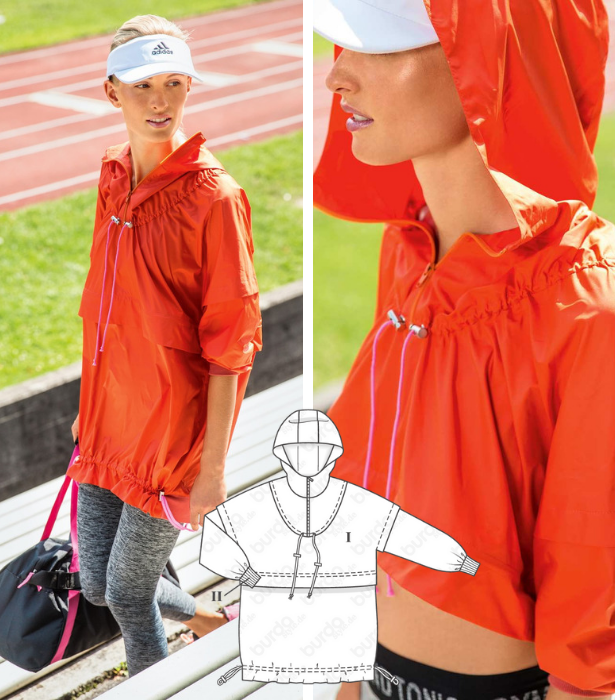 You can decide as the bottom panel of this breezy track pattern can be removed due to the dual separating zipper attachment. This is truly my favorite part of the jacket. I love it both cropped and long for a downpour rainy day, and a light sprinkle! 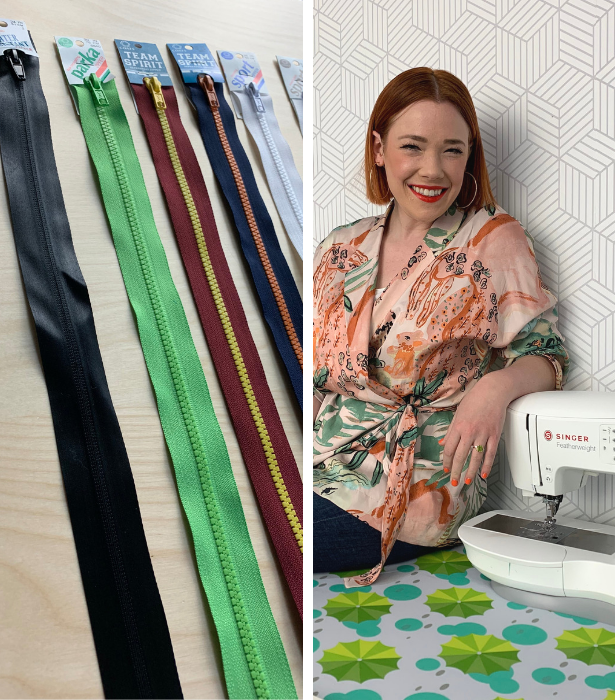 Coats & Clark provided all the zippers for the sew-along and I love all the vibrant selection they have including water resistant zippers which are perfect for this project. Then Singer let me use their Featherweight™ machine for filming which totally stood up against the waterproof nylon and zippers. It is always so much fun traveling to film these sew-alongs especially since they get to be free for a month for people to learn and enjoy. The prep work is always a lot, but in the end totally worth it. This is the pattern used in the sew-along and I was drawn to it because of the complicated nature of the zip-off section and hood. Although this pattern is regular sized, it runs quite large. For my sample worn above I sewed the smallest size and I’m always a 38/40 in Burda sizing – so plus sizes will most definitely fit into the larger sizes of this pattern. The pattern PDF is included in the resources section of this sew-along along with a grading pattern sizes handout. I know sometimes, and even for me – patterns with a lot of extra little things like hardware can be intimidating. 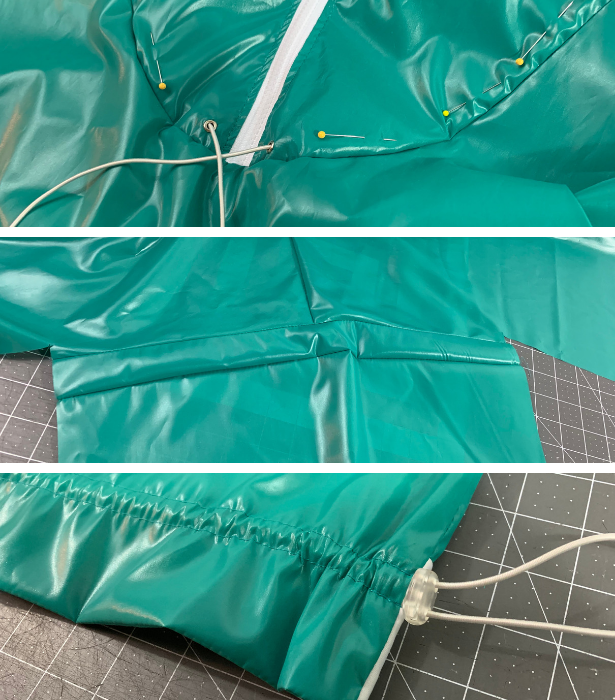 But this pattern actually came together quite nicely and within the sew-along I show you how to work with everything including the eyelets, cord, and stoppers. I hope to see you all in the sew-along! Click the image above to register today, and extra special thanks to our sponsors Singer and Coats & Clark for allowing us to offer these sew-alongs for free.